We close out our month of reblogs (thanks for following along!) with this fantastic article from David of Plus10Damage, a brilliant gaming site in its own right that you should totally check out. 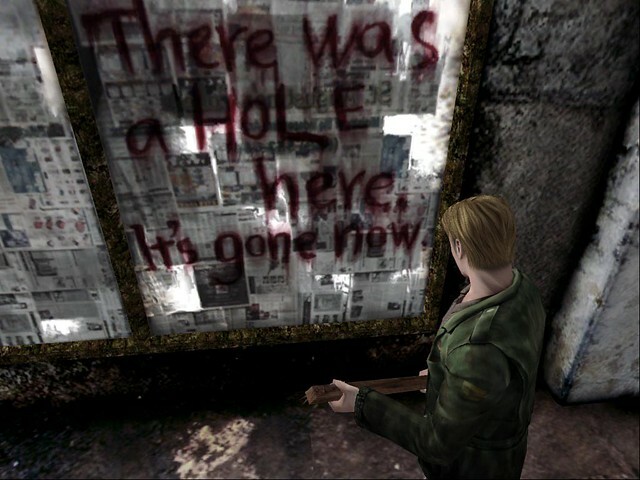 In this article, David maps out the notion of immersion in horror games and what happens when that connection between game and player is broken. To view the original post on UWG from May 11, 2013, click here. To view the original post on Plus10Damage from December 19, 2012, click here. And for what? Why take extra effort to frighten myself? Why go to all this trouble, if I’m just going to end up breathing heavily and closing the game in a couple hours? Why do I keep pushing back in, if I know my mind will be unable to withstand the isolation and subsequent terror? Condemned, Amnesia, Dead Space, Anna, Silent Hill, Fatal Frame, F.E.A.R., Alan Wake, and even parts of Bioshock have played a role in this strange ongoing quest to torture myself. I cannot deny the appeal of thrills, at least to the extent that dangerous experiences give me some sort of rush. Any game — no, any thing — that makes me excited is usually something I will engage. But beyond the artificial, amusement-park-like “I might die at any moment, but actually I’m safer than driving in most cars” sort of feeling, there lies the comfort-transcending appeal of horror gaming: immersion. By genre definition, a horror game is meant to terrify or inspire “horror.” This is accomplished by tricking the mind — much like in film — that something completely and obviously made-up is actually happening. AND TO YOU. This is immersion, and horror games have it. They have to have it, or they fail. Emphasis on atmosphere and psychological play are two of the most important elements to consider when creating the scarytimes. Atmosphere pulls you in, and the way you interact with the atmosphere — the gameplay — has to be fine-tuned not for ultimate fun, but tension and fear. I hate to say that it’s “more of an art,” mostly because I’m afraid I haven’t given such a broad statement nearly enough forethought, so I’ll stick with something simpler. In my experience, horror games are consistently the most immersive. That. That is why I keep coming back to them. That is why I perform tedious preparations — I actually lit candles once while playing F.E.A.R., so as to create further shadowplay — in order to fully enjoy the pants-peeing. 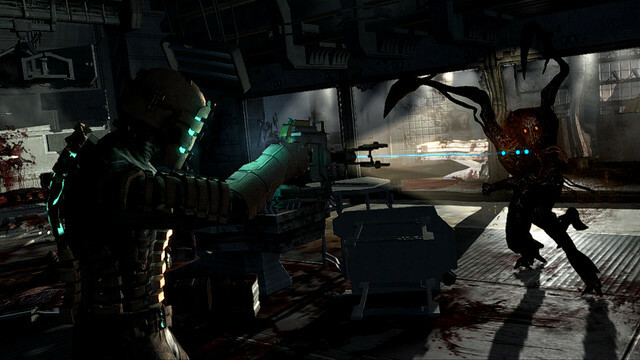 Horror games demand the most intense immersion from a player in order to be successful, and work hard to establish such an atmosphere. Death, specifically. In horror games, death is the worst. Let’s use Amnesia again to exemplify this concept, since it was while playing Frictional’s terrifying masterpiece that I wrapped my mind around this truth. The water level. Without spoiling much — if anything — there’s an invisible beastie capable of awful noises and splooshy steps coming after you. But only when you’re in the water. It’s terrifying, because every trip to the next platform is a tense race against the filthy aberration that constantly pants and sniffs in its search for your delicious meat-body. In the moment, I was terrified of nothing more than ghostmonsterguy getting me from behind, and doing hell-knows-what to my poor, should-have-tried-harder-in-gym-class corpse. In fact, it made my heart race literally more in sheer terror than anything ever has in any game. It is nuts. I hate it. My nerves hate it. But then the guy gets me, an interface pops up and basically screams “you’re in a game sucka,” and I have to try again. All of a sudden, the creature that induced sheer terror has transformed an obstacle that I must outwit. It’s still tense, sure. But my brain has remembered something very important, something that — in the rush of immersion — it forgot. It remembered that it was playing a video game. While horror games are the industry’s champions in terms of immersion, that immersion is often fragile and, when destroyed, leaves a shell of an experience. 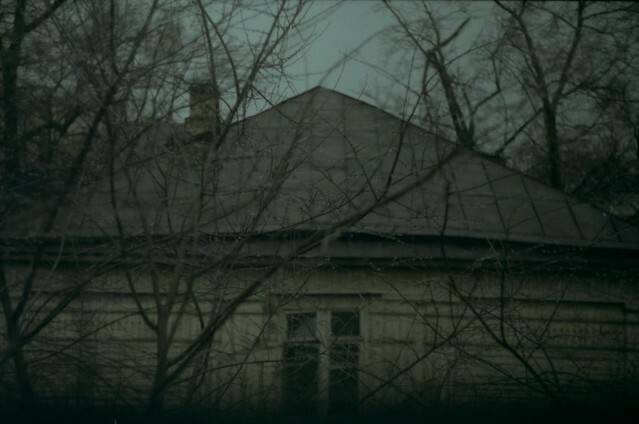 Without narrative to propel a horror trip that has no immersion factor — the F.E.A.R. sequels — the game falls pretty flat. I want to have some great idea about fixing this from a developmental standpoint, but removing actual character death / failure seems almost impossible. In fact, it’s that impending death that propels such terror in the first place. Perhaps we lovers of the frightening will just have to deal with the fact that, after all, we’re playing stories. And those stories are always going to have limitations. But hey. Come Halloween, I’m going to try to mentally transcend those limitations.